I have been investing on the EstateGuru platform since 2015. I started investing with a couple thousand euros, however I have been gradually increasing my investment amounts ever since. Since then, I have deposited €93,450 to my EstateGuru virtual account, most of which during the past year. When in the last post I described the growth trends of my investment portfolio then the current post is about introducing you to my 10 most important principles concerning investing! The first criteria to follow when making investments is the loan period. Preferably I would keep my portfolio’s liquidity and invest into loans with a maximum loan period of 12 months. However, as such loans do not come by very often, then I am willing to extend the period to 24 months. Currently I have Niguliste 8 loan in my portfolio which was facilitated in 2015 and has a period of 5 years. Despite the loan performing well, I have adjusted my investment criteria and do not longer invest into loans above 24 months. Every investor would be happy to invest into secured loans with an annual interest rate above 12%. However, these offers do not come by often. My criteria for investing therefore remains between 10% and 11% which is suitable for me. For the Auto Invest function I have set a minimum interest rate of 10% and I normally do not make investments below this limit. However, I must admit that there have been exceptions when I have made investments into loans that have a 9% interest rate. This applies to loans that strictly follow the 12 month loan period limit. One indication on the level of risk that applies for loan is LTV. The higher the LTV indicator, the more difficult it will be to regain the investment amount should the loan default. I have set my Auto Invest criteria in a manner that the function makes investments into loans that have a maximum LTV of 65%. However, 75% LTV does not indicate on a very high additional level of risk. I have not paid much attention to the loan amount when creating my loan portfolio. This indicator should however be considered in terms of the higher the loan amount, the more professional the borrower should be to serve this loan. When doing my investments, I prefer loans that have a repayment schedule of either annuity or bullet, thereby having certain amount being repaid on a monthly basis. Monthly payments are a gradual proof of the capabilities of the borrower. Should there be any issues, then will be revealed early. Unfortunately loans with annuity repayment schedule do not come by often on P2P platforms. Therefore I accept loans with a bullet schedule, however when other criteria fits my preferences, then I also invest in loans with a full bullet schedule. The charge of the mortgage applies to on which spot you are in the queue once it is necessary to realize the collateral. Therefore, the charge of the mortgage is a direct indicator towards the level of risk that applies to the loan. My interest is to make investments into loans that are secured with a first charge mortgage. Nearly 95% of EstateGuru’s loans are secured with a first charge mortgage. Also, having a first charge mortgage securing the loan is one of the main reasons I have chosen to make my investments on the EstateGuru platform. The existence of a mortgage should lower the level of risk of the loan, however the background of the borrower is extremely important to me. Even though Auto Invest feature makes investments for me, I only place additional funds into loans that have a decent borrower. Normally, I do not spend too much time on conducting analysis of the borrower myself. However, I do check the borrower form the www.inforegister.ee portal to check the rating of the firms they are related with. Furthermore, Google can easily identify all potentially negative aspects. Also, I review whether or not the borrower has raised money on the EstateGuru platform before and whether they have repaid the loan successfully. The nature and the location of the collateral are vital in the situation in which the collateral needs to be sold in order to have the loan repaid to the investors. 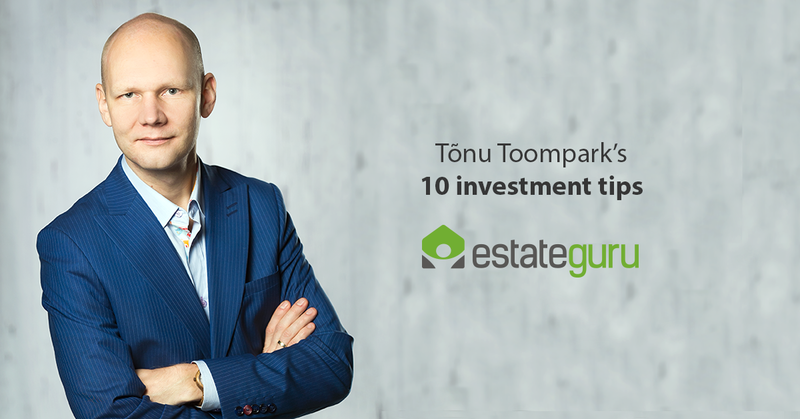 Real estate objects away from the active regions such as Tallinn, Tartu and Pärnu may have a solid current value. However, should there be negative fluctuations in the real estate market, then the value of those objects may fall to a certain extent. Therefore, I do not invest into loans that have a potentially low-liquidity collateral, in addition to the Auto Invest investments. The valuation report is a document, that I review often. EstateGuru acquired third party valuations from companies that have a professional background and capabilities. Therefore, I do not check the proposed valuation of the collateral rather than wish to educate myself with the industry trends. Having the market valuation included in the investment opportunity is an important factor – though it is not something that I solely make my decisions upon. Detail information of the loan is something, that describes the borrower’s initial plan on how they are planning to use the money – however, there is no means for me to check this and I believe EstateGuru cannot as well. However, it is beneficial to see that the borrower has generated a business plan with the respective calculations. Similarly to the valuation report, this is something that does not affect my decision of making investments. As mentioned, I am currently involved in 82 active loans which is a suitable level of diversification for me. I believe that diversifying my portfolio between 50 loans is enough to not have one unsuccessful loan affecting the overall performance of the portfolio to a very high extent. Why do some borrowers make late payments?